CBT College is dedicated to provide several NDS (Non Degree Studies) programs, like OSHA 10, OSHA 30 certification, FASA fire alarm certification, HVAC journeyman and electrical journeyman certification training to non-degree aspirants as well as free ‘Refresher’ courses after graduation. The main aim of our accredited certification programs is to ensure personal and professional development of individuals, who are seeking to improve their work skills and embarking upon personal improvement through learning processes. Our certification training programs help professionals to grow in their professional activities and career. 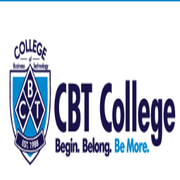 With qualified and experienced faculties, CBT College offers personalized attention while tutoring all students. For information about our NDS training and continuing courses for graduates, please browse through our website or contact us online.